A former Defence Minister of Ghana and a founding member of the National Democratic Congress Hon Benjamin Kumbuor has rubbished rumours of his intention to leave the party for another. 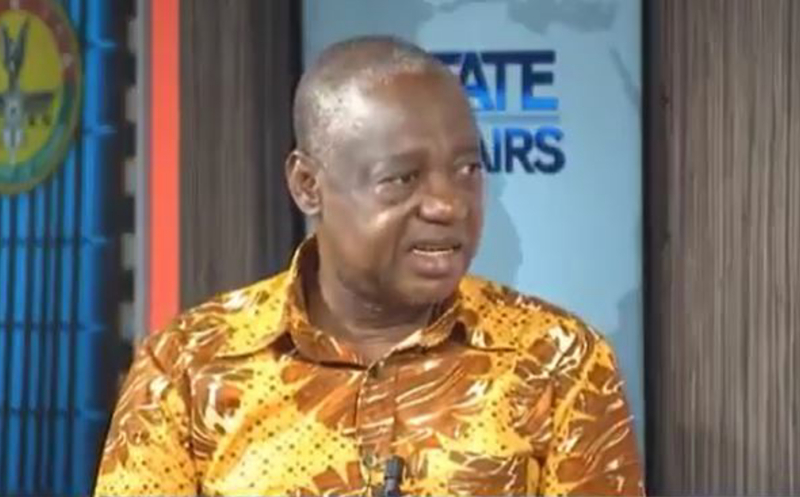 In a statement released by Hon Benjamin Kumbuor in Accra on 22nd January, 2019, copied to Ghanapoliticsonline com, the former Member of Parliament for Lawra-Nandom stated emphatically that malicious publications about him over the past few days should be ignored and further advised journalists to be circumspect in their reportage. My attention has been drawn to a news item trending on social media, dated 21st January, 2019 and attributed to ghananewsonline. The said news item conveyed malicious, fabricated and vicious attributes to me; as conspiring with other leading members of the National Democratic Congress (NDC) to form a new political party. The viciousness of the said publication lies in the fabrication that this is being done at the instigation of Former President Jerry John Rawlings with the connivance of leading New Patriotic Party members as well as President Akuffo-Addo. It alleged further that I have been part of a series of meetings which is conspiring against my own party the NDC. Curiously, it alludes to two situations that are quite revealing and can point even the uninitiated towards the dark and ugly allies as the source of such a publication. Firstly, it links this news item to an earlier equally vicious publication in the social media attributed to kasapafmonline. When it did not get the underserved response from me, it was passed onto the ghanaweb as well as on other rather too willing political platforms on social media. What was interesting about this first publication is that it could not even spell my name correctly which gives me other leads. It is particular political interest groups who have always spelt my sir name with an ‘m’. In addition, it blocked the comments link to prevent persons who watched my program on UTV from correcting their fabrication. Second, even though NDC is yet to go to congress to elect its Flagbearer, the authors of the publication in their indecent haste, allege that I together with others are forming a new party to ensure that Former President John Dramani Mahama, who will give Nana Akuffo-Addo (an assumed NPP Flagbearer) a strong competition, to prevent him from winning the 2020 elections. (b) I have no intention and have never had one to be part of the formation of a new political party. I am satisfied with my membership of the NDC and in the foreseeable future intend to continue to be a loyal member of it- all things being equal. (c) I have never attended any meeting as alleged in the publication with any of the personalities mentioned; let alone one that is seeking to form a political party against my party the NDC. (d) I am equally not aware or a recipient of any Landcruisser or Pickup vehicles. I do not belong to that bracket; the publishers should look for a more suitable person who fits their baseless allegations. (e) Let me use this opportunity to assure the rank and file of the NDC that I am unaware and not part of any schemes to form a new political against the NDC. (g) I will like to add that if the authors of this publication have any political trepidation about me they should go to rest; I am not standing in their way in whatever contexts. I am very much occupied with important projects about the future of this country that I believe can contribute to improving the human condition of our people. I believe this country has a future and we should all use our energies to realise it. If such publication is intended to use me as political sport or for entertainment, I am sorry I am unavailable for such a game as I do not play other peoples games. I am therefore requesting those behind the ghananewsonline to take down from their platform the said publication. They have seven (7) days to do that; otherwise I will take all the necessary legal steps to protect my reputation as a member of the NDC.